LCDInfo.com • View topic - CPU Load always 0% ?? CPU Load always 0% ?? 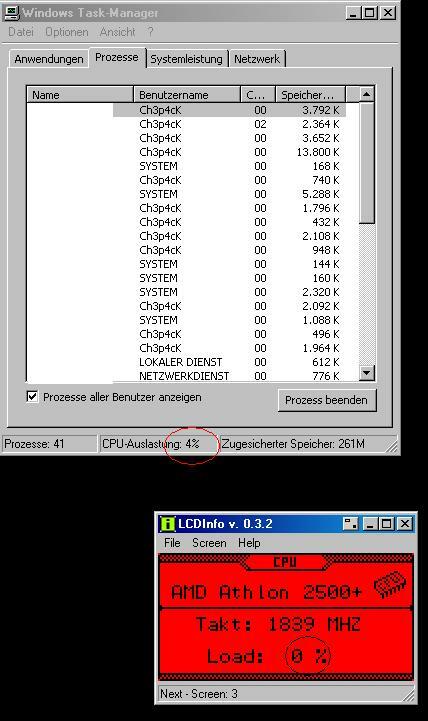 Post subject: CPU Load always 0% ?? I think you are using the cpu load info that comes from MBM. Have you enabled it in your MBM settings as it's disabled by default. where can i it turn on? In the CPU settings of MBM!